The Jockey Club LOCATED NEXT DOOR TO THE BELLAGIO in Las Vegas, Nevada - Aug 16, 2018 - Buy a 7 Night Stay in a 1 Bedroom Suite with Full Kitchen! 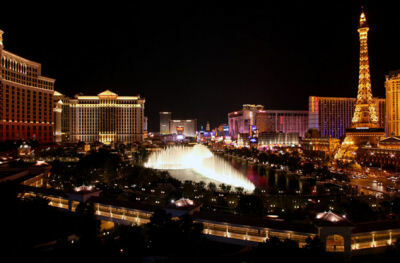 Enjoy a 7 Nights Stay at The Jockey Club in Las Vegas, Nevada! All of the suites at the Jockey Club have access to two guest elevators (in each tower). Other amenities in each suite are full size iron and ironing board, DVD players, televisions in the living room and bedroom(s). Your 1 BEDROOM SUITE will accommodate 4 people. The unit has 1 king-size bed, a queen sofa sleeper, fully equipped kitchen, and are 650 square feet.